Meet the baddest witch in town! Scotland’s murky past brought to horrible life. 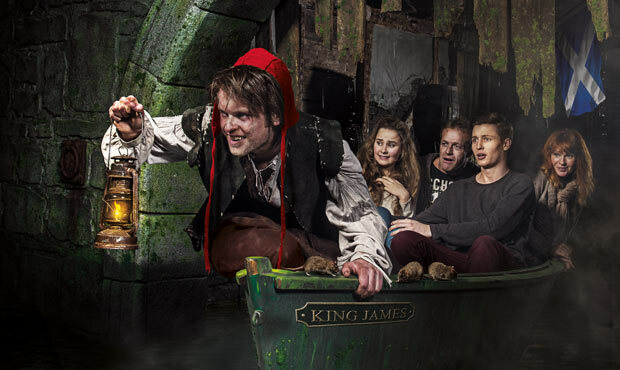 Edinburgh is awash with history, but nowhere is it brought to life more gruesomely well than at the Edinburgh Dungeon. This year, their Year of Fear, the attraction sets out to ramp up the scares and the thrills through their 11 live-action shows and 2 underground rides. A team of 15 actors will guide you through 500 years of history, in fully-themed sets full of authentic sights, sounds and smells. You’ll be Judged in a 16th-century court of law, whether you’re guilty or not, and be forced to confess to witchcraft, unless you accuse someone else instead. Then join the King’s Men and sail the Caves of Galloway on the hunt for the cannibal clan of Sawney Bean. But stay afloat, for the catch of the day … is you! And if you don’t have the heart for Dr Knox’s Anatomy Theatre, you certainly won’t be able to stomach what the Ghost of the Green Lady has in store for you. The Dungeon’s special events this year include a show about the last criminal to be dissected, ‘Crammond Killer’ John Howison and a summer show about Edinburgh’s most famous murderous duo, Burke & Hare. The Edinburgh Dungeon is so much fun it’s scary. Don’t miss it or you’ll be gutted. 15 OR UNDER? Please note all children 15 and under must be accompanied by an adult.